Well, you won’t find many bad views at Walt Disney World. 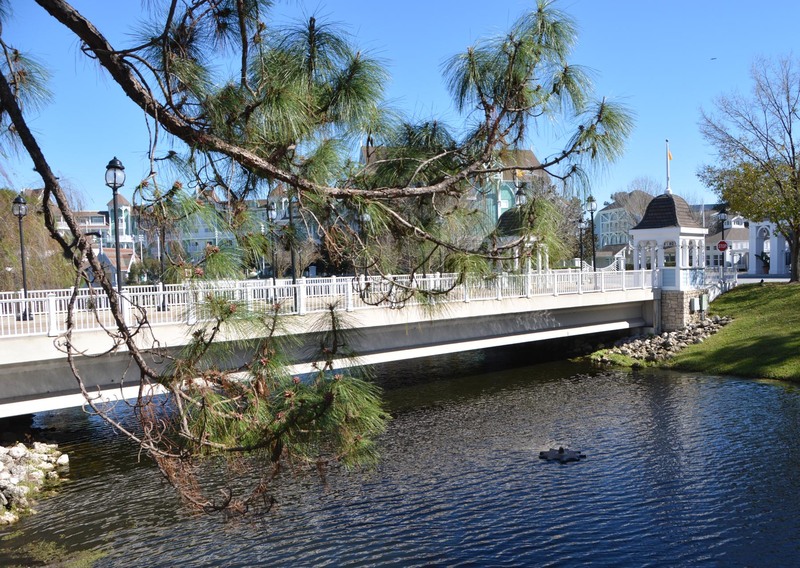 Here’s a shot of the bridge leading to the entrance portico at Disney’s Beach Club Resort (we were staying there for a long weekend when I got the shot on Feb. 7, 2016). Just use a tree branch to give the scene a nice accoutrement and … voilà! A nice image. Next A rare find: an ashtray in a store!